Founded in 1866, Carleton College is a small, private liberal arts college in the historic river town of Northfield, Minnesota. Best known for its academic excellence and warm, welcoming campus community, Carleton offers 32 majors in the arts, humanities, natural sciences/mathematics, and social sciences. Carleton College is committed to providing a true liberal arts education, a curriculum that challenges our students to learn broadly and think deeply. Instead of training for one narrow career path, Carleton students develop the knowledge and skills to succeed in any walk of life. "Education is a really powerful tool, and it has the ability to impact people's lives in many different ways," says Maraki Ketema '15. "At Carleton, you are given the opportunity to learn not only for yourself, but also for society." "This place allows you to work a bit outside your comfort zone. You definitely have to do that in academics. The liberal arts focus forces you. But it’s not a thing that anyone at Carleton dreads," says Nate Livingston '16, who majored in chemistry. The most important thing our students gain is how to learn for a lifetime. Critical thinking, problem solving, creativity, effective communication: these are the tools that transform a collection of facts and figures into a way of understanding the world. 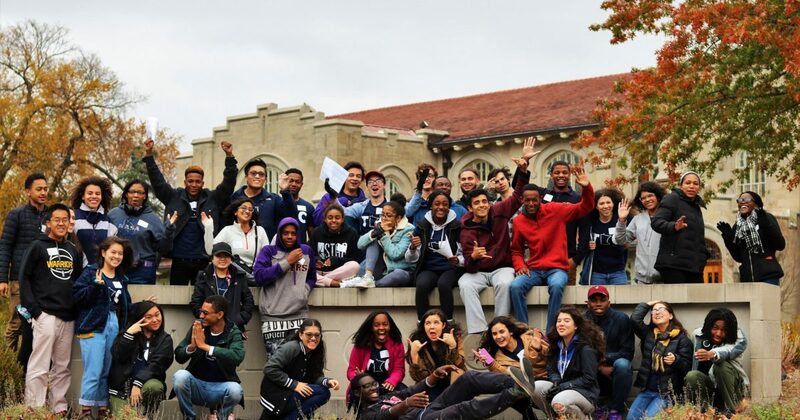 Carleton College defines itself as an institution that values diversity. This is reflected in the importance and pride the College places in a student body that includes a balanced number of men and women, and includes people from a variety of racial, ethnic, socio-economic, religious, sexual, and national identities. The College recognizes the traditional liberal arts goal of expanding students intellectual horizons by exposing all students both to a diversity of cultures and to an analysis of the experience of being different.